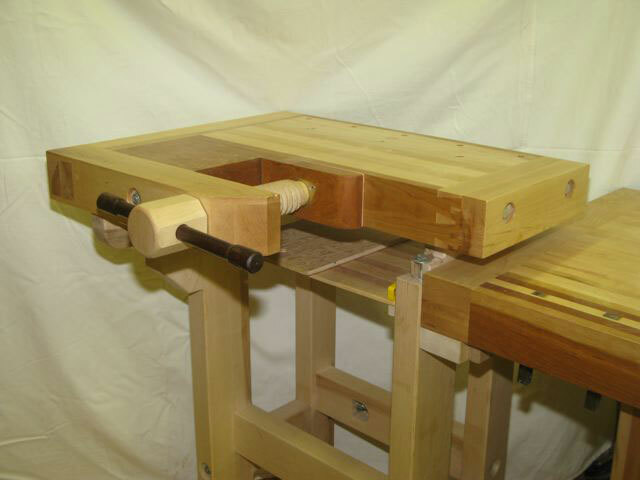 Adding our October 2012 Workbench of the Month from Duncan Robertson – School Of Quiet Woodworking, Cochrane, Alberta Canada to our Lake Erie Toolworks Blog for ease of access and historical awareness. We have a very special Workbench of the Month feature for October 2012. As you can see by the above vise screw it isn’t our normal wood vise product that many of you have come to know and use for your bench vise clamping system. That’s because it is featuring our brand new Shoulder Vise Screw system that has just launched. We have been actively conducting internal testing of this new vise as well as working with Duncan Robertson – from the School of Quiet Woodworking in Cochrane (Calgary), Alberta, Canada for some time now to confirm the functionality of this new product, and judging by his comments below, we think we have a winner here. We hope you enjoy this. The bench is finished and your screw is flawless!!! This is the first time I have ever used a Scandinavian style single screw vise that does not creep when you tighten it the least little bit. What a joy to use. Thank you. Here are a few pictures of the bench with your screw adapted to fit. The bench is hard maple, the accent wood is Cherry and the vise handle is Vietnamese Rosewood. 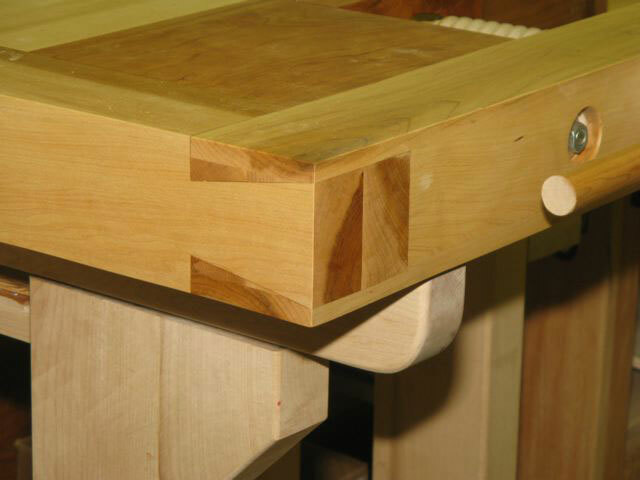 The dovetail on the end of the front arm is a royal pain to cut but, it sure looks great in the finished product! Oh, one other thing, going from full tight to full loose in about a 1/4 turn is also sheer heaven. 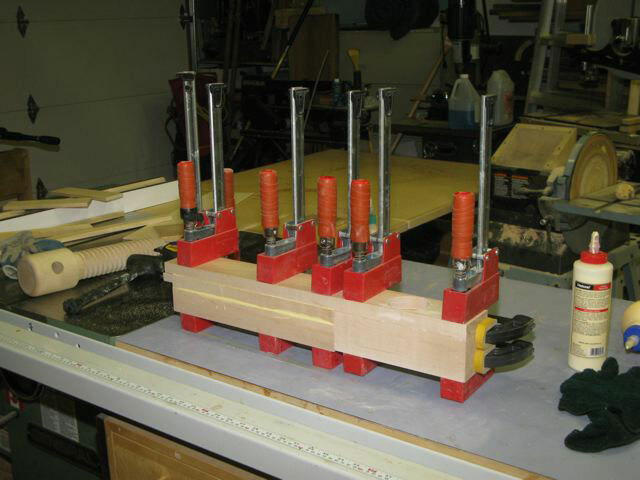 In my dovetailing I am constantly taking the board that I am working on out of the vise, turning it around and placing it back in the vise. The functionality of the 2 TPI is awesome!! I leather faced the moving jaw and the whole thing is great to use. I am the featured presenter at the Lie-Nielsen show in Calgary coming up in March. I will have my bench there and will be singing your praises. I finally found the class photos. 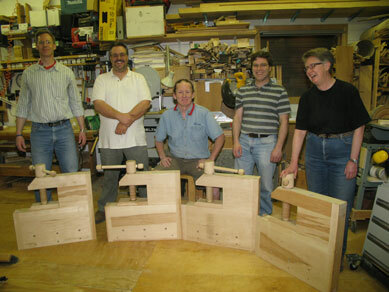 Here is the entire group with their benches on the last day of the course. Me in the middle of course. Running this class with all four students electing to go with your prototype shoulder vise kit made for some beautiful, incredibly functional benches. The process of building up the front arm to include your “nut” took most of the first evening. 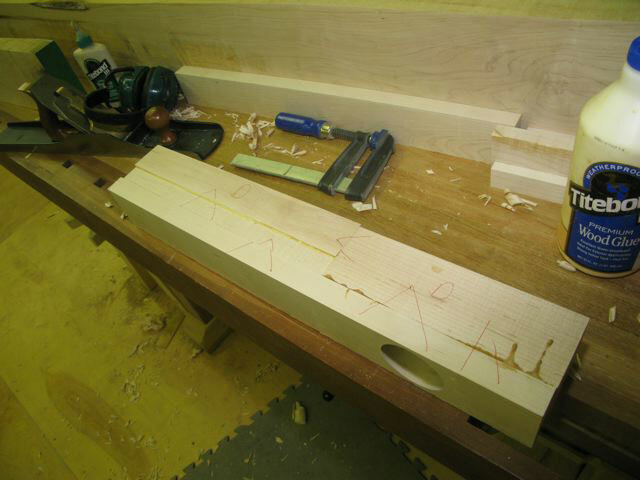 It is straight forward but, as it involves 7 separate pieces of maple, it is a little involved. With these four benches, I have now built and/or helped build 12 benches with your wooden vise hardware. I have also built over 20 benches using more conventional metal vise hardware. There is absolutely no comparison. Between the 2 TPI threading and the super smooth action of the thread your wooden screw is head and shoulders above any other screw that I have tried. It is also wonderful to build the entire bench with the only metal being the bolts holding the base together. In my dovetailing, both my own and in the classes that I teach in my school, you are always taking out the piece of wood being worked on and turning it around. The 2 TPI really shines at this. The closest that any metal hardware ever came was a vise out of Germany, it was still 3 or 4 TPI and, compared to yours, really slow in action. Some of the current crop of vises being offered are 5 or more TPI and you have to read a book while waiting for the vise to make enough turns to grip the wood. I have had a number of people go ”Aha, it’s not a quick release vise!!!!!”. When I point out that your wooden screw goes from full tight to full release in about a 1/4 turn of the handle, the gainsayers tend to become very quiet. In short, please keep doing what you are doing and I will keep buying your wooden screws for both all my benches and all my students benches. I currently have the 10/4 hard maple for my next bench acclimatizing in my shop. 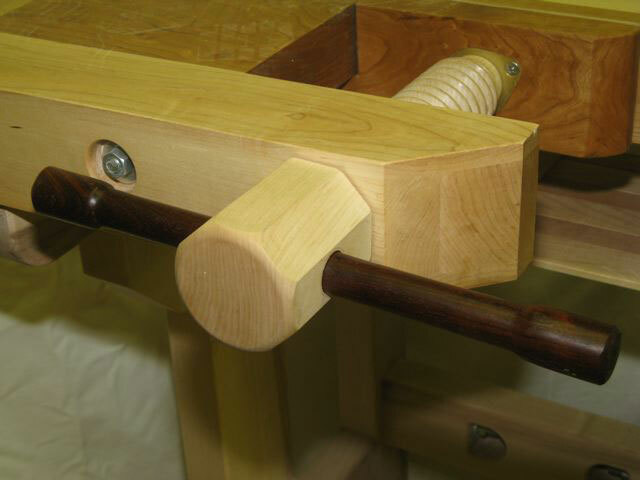 This bench will incorporate both your new wagon vise and shoulder vise in its construction. I’ll send pictures as it goes along.